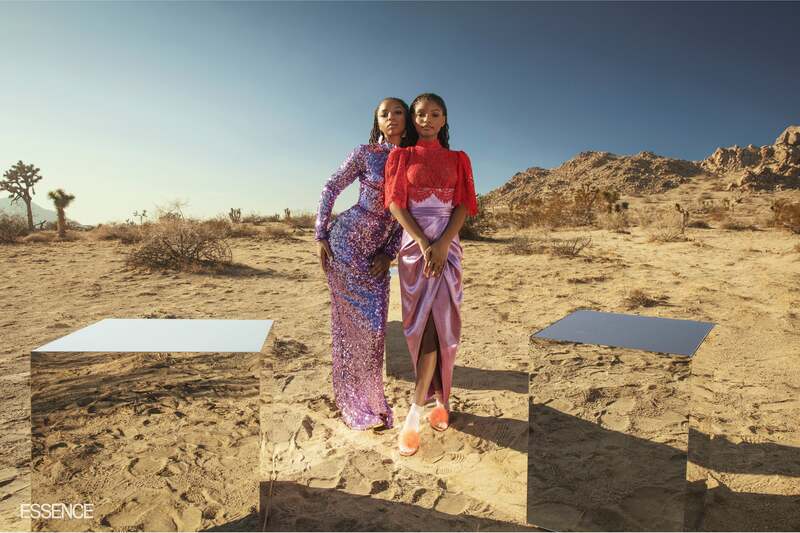 The duo kept it fun and cute at the desert photoshoot for ESSENCE's first-ever digital cover. 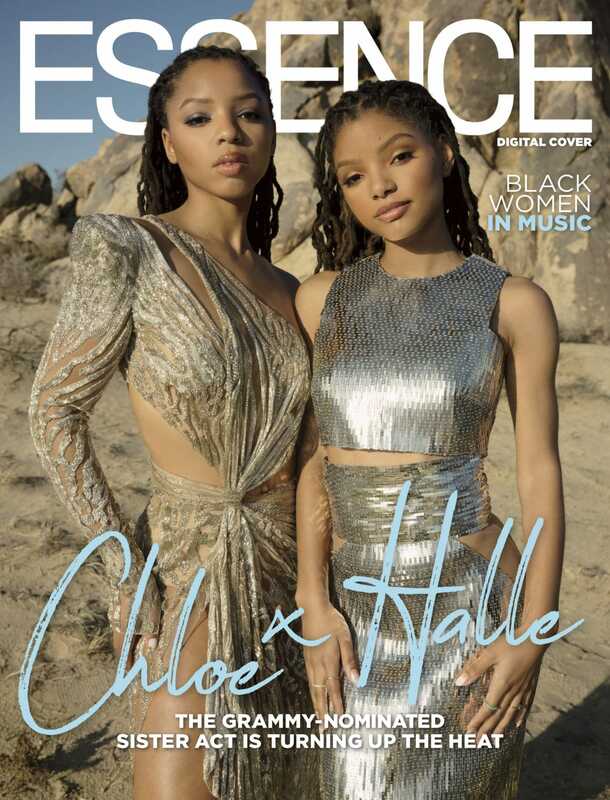 It’s been a big 2019 so far for Chloe x Halle, our stars for ESSENCE’s first-ever digital cover. And their continued hard work in recent years has allowed these two Atlanta sisters to finally find their stride in the music industry — and with each other. “Our bond was already tight since before we got into this industry, so this is about maintaining that,” Halle said in our behind-the-scenes video of the desert-themed cover shoot that took place outside of Los Angeles. The pair made a big splash with their soul-stirring performance of “America the Beautiful” at this year’s Super Bowl. And they will continue to shine at the Grammy Awards where they are nominated for Best Urban Contemporary Album and Best New Artist. Having been in the industry for some time now is showing. Chloe told ESSENCE at the shoot that she no longer needs to practice before going on set for a shoot. “I don’t really practice my posing. I think because I’ve been doing it so much now, it’s kind of coming naturally— which I’m grateful for,” she said. You can read ESSENCE’s inaugural digital cover story, Dream Catchers, now.